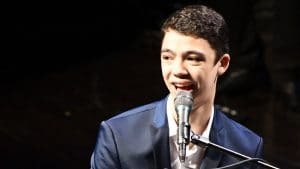 Join talented young virtuoso Ethan Bortnick – a 16-year-old singer, songwriter, pianist, and composer – for a concert spanning generations and genres. Recorded before a live audience in Washington Pavilion, this concert features special guests Peter Yarrow (of Peter, Paul & Mary), Bethany Yarrow, and cellist Rufus Cappadocia. It is a show for audiences of all ages and musical tastes! On CPTV: Saturday, February 17, 2018 at 7:30 p.m.